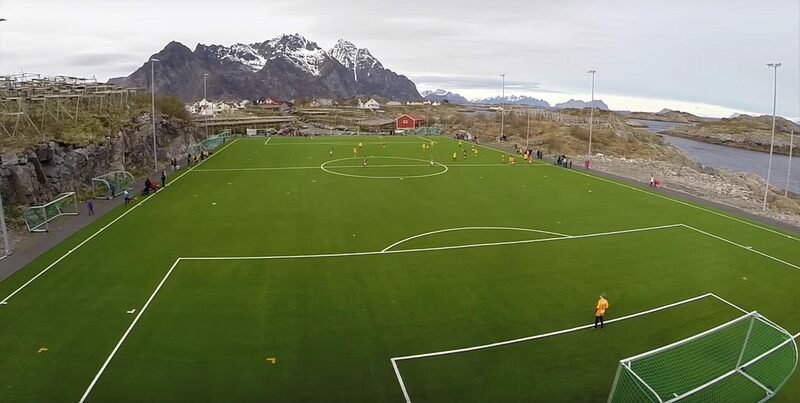 Artificial turf, floodlights for training purposes and a slight amount of concrete around the field. 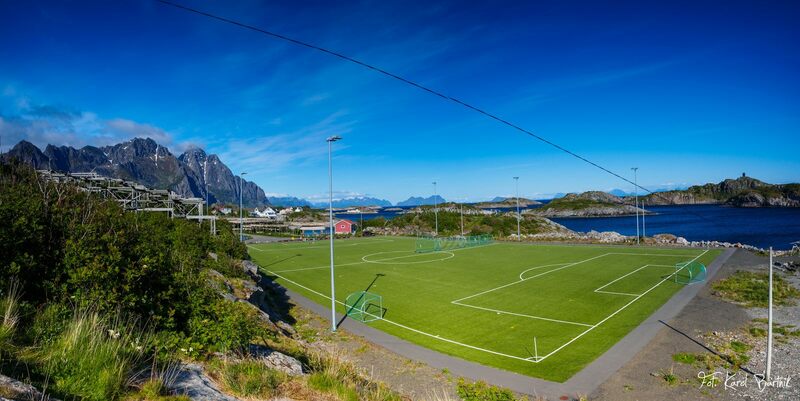 Around 500 people can easily watch a football game here and that seems sufficient since the village of Henningsvær doesn’t even have that many inhabitants. 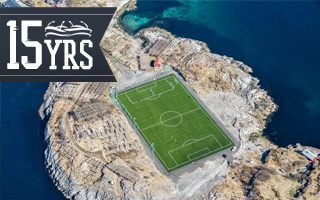 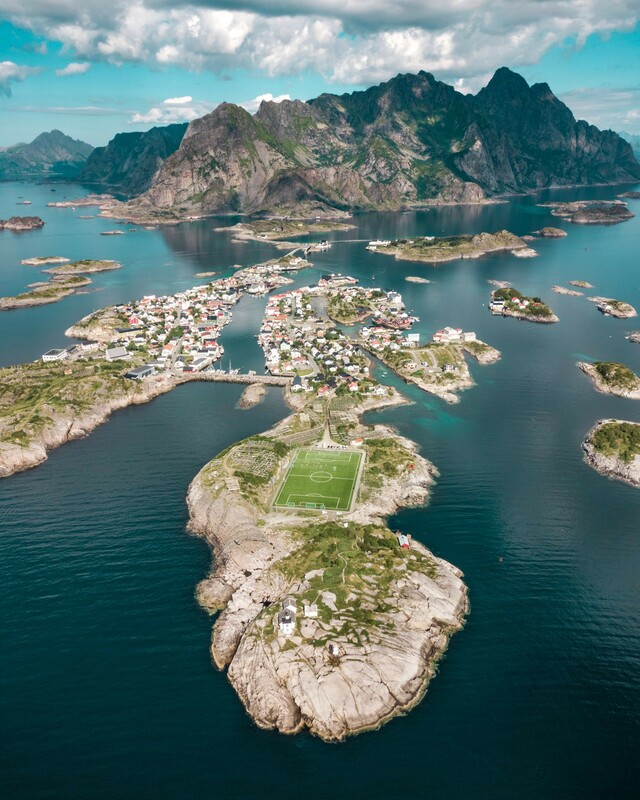 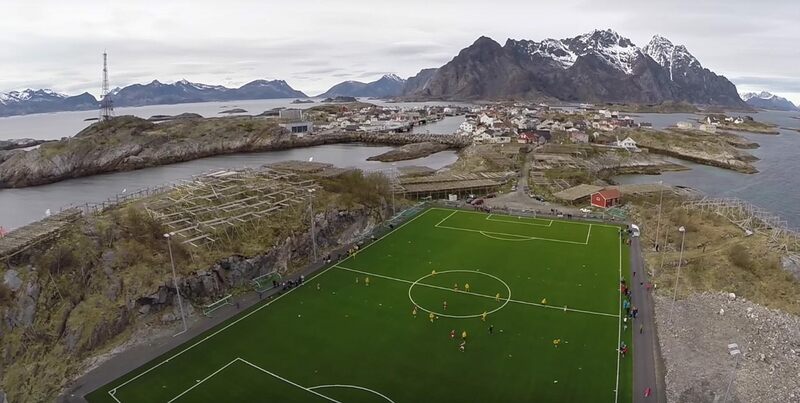 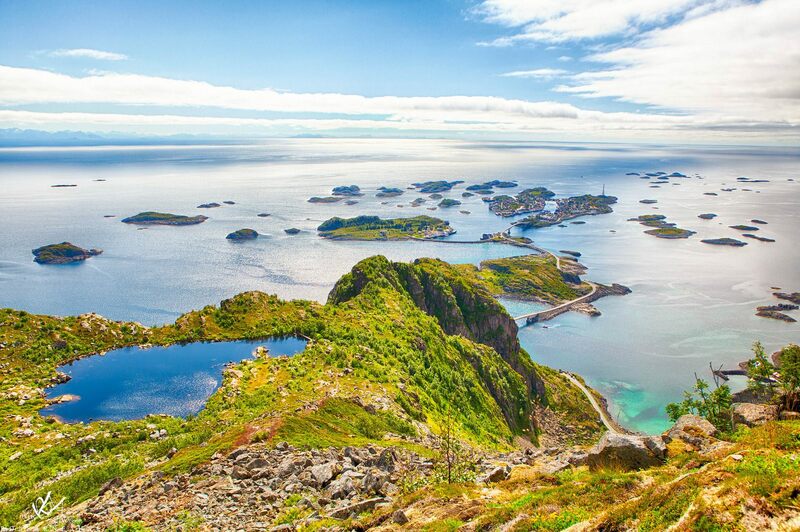 What Henningsvær does have is a grassroots football club Henningsvær IL and an absolutely stunning location. 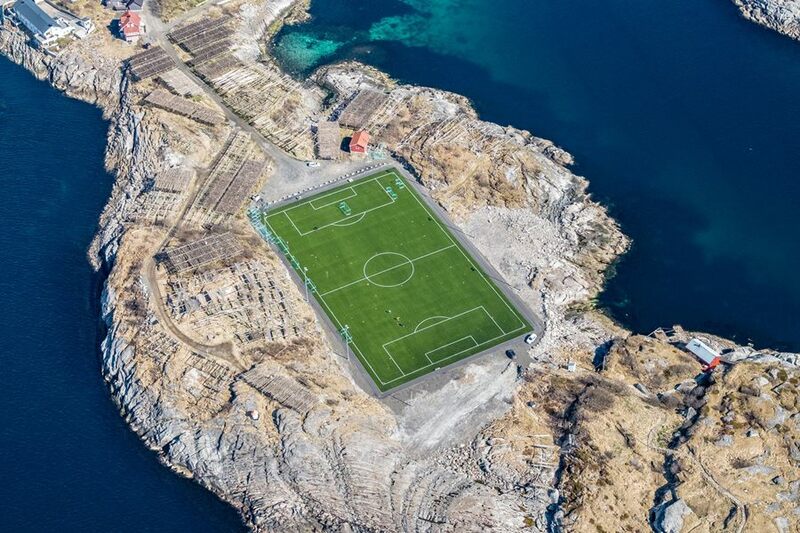 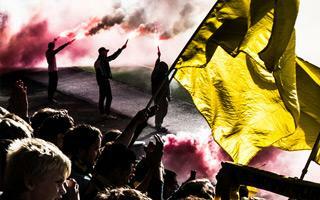 The stadium was built by leveling solid bedrock of the southernmost part of the Hellandsøya island, resulting in a very rough landscape, decorated by overwhelming number of stockfish racks for dried cod.